Indian cricket team is always blessed with match-winning batsmen at the top of the order. From Sunil Gavaskar to Virender Sehwag, the openers have always managed to win matches single-handedly for the Indian national team. It is not only about any one of the openers but is about how to build a strong partnership. One of the important duty of the openers is to build a strong foundation for the team on which the middle order can capitalize. Hence, having a majestic opening pair is a blessing for the team. 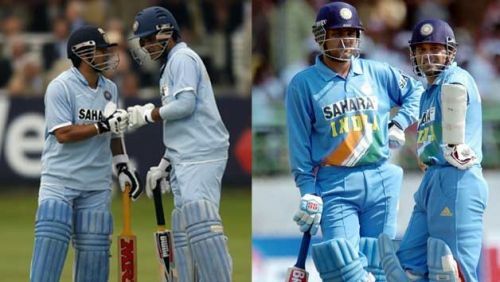 Indian cricket team have been lucky to have several successful opening pairs who have won lots of matches for the team including the two World Cups. With their game, the current opening pair of Rohit Sharma and Shikhar Dhawan are keeping the legacy intact for India. Here are the three most successful opening pairs in India's ODI history. It was the very first successful opening pair for India in the limited overs format. To open the innings, Sunil Gavaskar and K Srikkanth were India's first choice for almost 6 years between 1981 and 1987. The duo which was equally successful in the longest format were dominant in a number of victories for the Indian team in limited overs format, including the first World Cup victory in 1983. 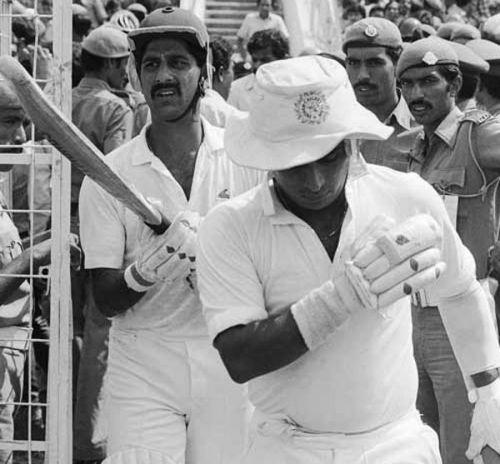 The Gavaskar-Srikkanth pair scored 1680 runs in 55 innings at an average of 30.80, which was an appreciable average at the time. The pair shared two 100 plus and 11 fifty plus partnerships in ODI. Their best partnership was of 136 runs.